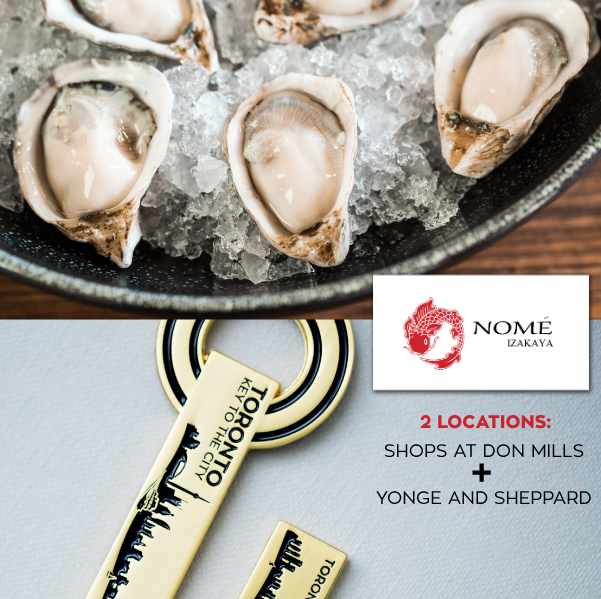 Show your Toronto Key To The City to your server and receive 4 complimentary Malpeque Oysters from P.E.I. on every visit for lunch or dinner all year. THE FINE PRINT: Nome Izakaya thanks you for your loyalty in advance. 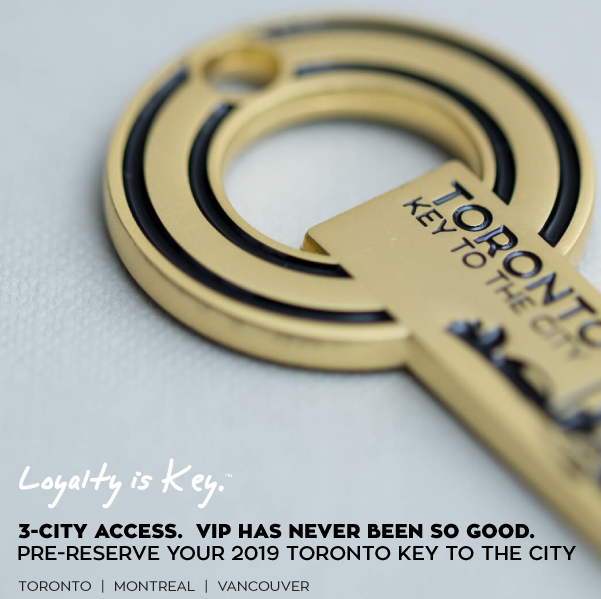 Limit 1 per key-holder, with every visit all year long, with any appetizer or tapas purchase. Perk above is valid during all days and hours of operation. Perk is subject to change.